As an adult with crooked or gapped teeth, you may feel like you’ve missed the boat for straightening your smile. 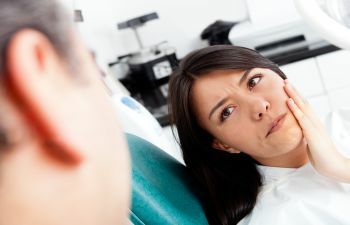 The thought of orthodontics now may seem too expensive, too vain or just not conducive to your lifestyle. The truth is, straightening your teeth offers far more than cosmetic benefits. In fact, straight teeth can improve your dental health and your dental function. And before you dismiss orthodontics due to lifestyle conflicts, you should know about Invisalign. Invisalign is a clear aligner therapy that countless adults are turning to due to its valued discretion and convenience. Invisalign is nearly invisible to others and it can be removed for eating, brushing and special events! When teeth are crooked, crowded or oddly spaced, it is more difficult to keep them teeth clean. Brushing and flossing becomes a challenge and food can get stuck in those tight, inconspicuous places. The result can be frequent cavities, gum disease and other disruptive oral health problems. Even bad breath is more common in a mouth that doesn’t stay as clean! Your teeth aren’t just for looks. Their first role is to provide critical function for eating, speaking and digestion. If your teeth aren’t aligned properly, this can make those everyday activities uncomfortable or simply inefficient. 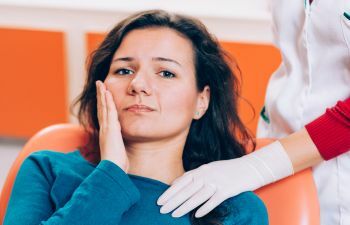 Some patients suffer jaw problems because of the dysfunction from a misaligned bite and others are unable to make certain speech sounds due to the way their teeth line up. 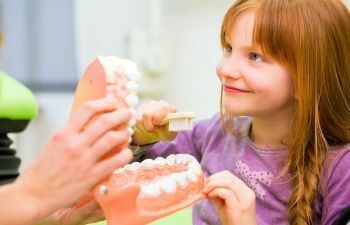 It is no surprise that straight teeth can influence the way you feel about yourself, but did you know that a pretty and well-aligned smile can also affect how others perceive you. Research has shown that people with a straight and attractive smile are more approachable and also viewed as smarter and more professional. This can greatly boost your career success or any aspect of your life in which you deal with other people. Thanks to modern Invisalign technology, you don’t have to flash a metal mouth in order to straighten your teeth as an adult. 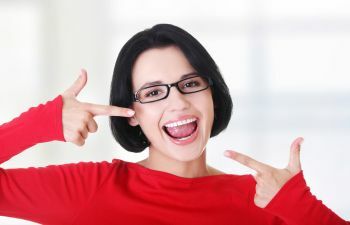 In fact, Invisalign requires very little sacrifice from your self-confidence, lifestyle and time. This clear and removable aligner therapy has been approved to treat a wide range of orthodontic concerns, including teeth that are crooked, gapped and crowded. Invisalign can even correct your under bite, crossbite or overbite! Ready to invest in yourself and gain a healthier and more confident you? Call Muccioli Dental to learn more about Invisalign for adults.